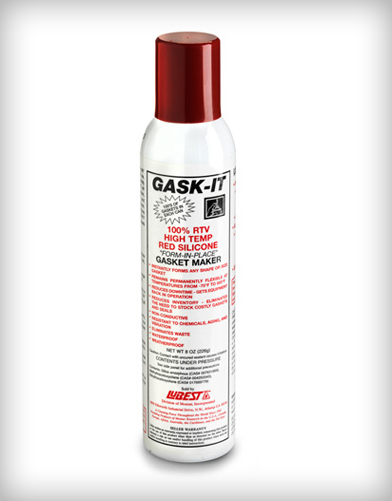 Industrial-strength, form-in-place gasket maker. Formulated with 100% RTV Silicone to be waterproof, chemical-resistant, non-shrinking, and non-conductive. Adheres well to metal, glass, porcelain, wood, ceramic, paper, and many painted and plastic surfaces. Use for industrial oil pans, machine covers, pumps, compressors, electrical boxes, parts assemblies, and other gasket and sealing applications.